to teach men and women the word of God, to train those who have been called to the ministry, and to assist those who are already in the ministry. We realize that not everyone is called to the ministry or called to preach, but would just like to learn more about the word of God, and how to apply it to their daily lives. We offer that opportunity for those who just want to learn more about the Bible. TBDI operates as a correspondence school, making it possible for students to earn a non-accredited, college level Theological Degree, while remaining active in their local church. It is not our desire to keep students from attending traditional schools. 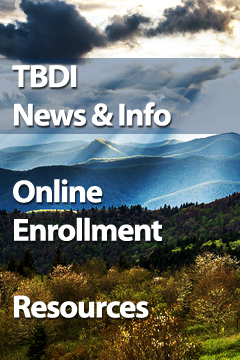 TBDI exists to train those for whom traditional school is not an option. this institute that the holy scriptures have been preserved (Psalm 12:6,7) in the English Authorized King James Version, and are thereby "given by inspiration of God" (II Tim. 3:16). 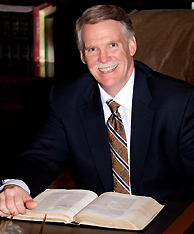 The Bible Doctrine Institute is overseen by the ministry of Bible Believer's Baptist Church in Jacksonville, Florida. to "Study to shew thyself approved unto God, a workman that needeth not to be ashamed, rightly dividing the word of truth. But shun profane and vain babblings: for they will increase unto more ungodliness" (II Timothy 2:15-16).